Square Enix is offering gamers up to 80% off some classic ‘Eidos’ titles in the ‘Eidos Anthology Sale’. For a very limited time, Square Enix are inviting fans to own nearly two decades of video game history, digitally for PC, for one unbelievable price. Celebrated franchises from across the Eidos Interactive catalogue have received enormous discounts, all available as one incredible compendium providing many hours of entertainment. The Square Enix ‘Eidos Anthology’ Sale is comprised of 34 games spread over eight beloved franchises and also includes a number of expansions as well as previously available downloadable content. Each franchise collection is available at 75% off, or own the entire range of video game memories for the single cost of £39.99, a saving of 80%. 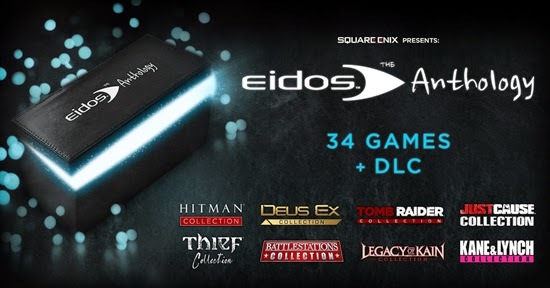 The Eidos Anthology Sale is available for PC via Steam Key unlock, exclusively on the Square Enix store in PAL territories from 25th Sept 2014 09:00 GMT to 30th of Sept 2014 12:00 GMT.